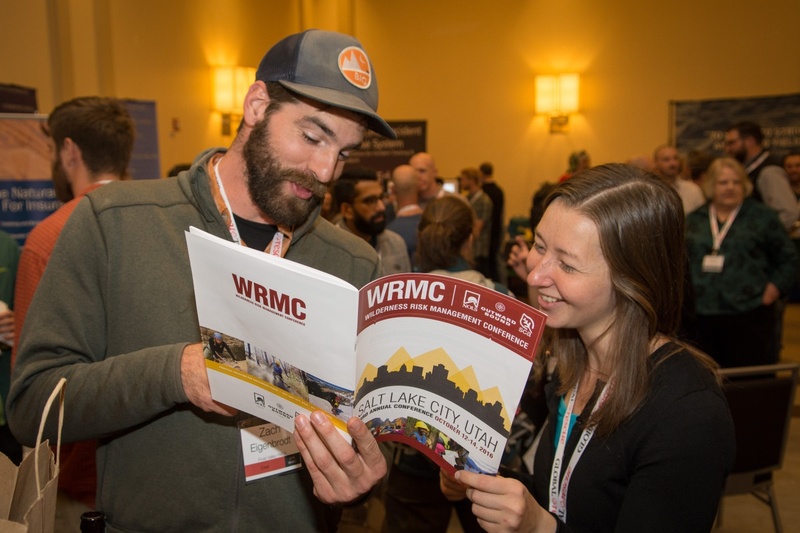 WRMC attendees browse workshop options. Photo by Jared Steinman. Fast forward to that night, and I was faced with the challenge of choosing from a plethora of workshops and presentations that, as far as I could tell from their titles and descriptions, all promised to be extremely engaging, educational, and valuable for working in the outdoor industry. 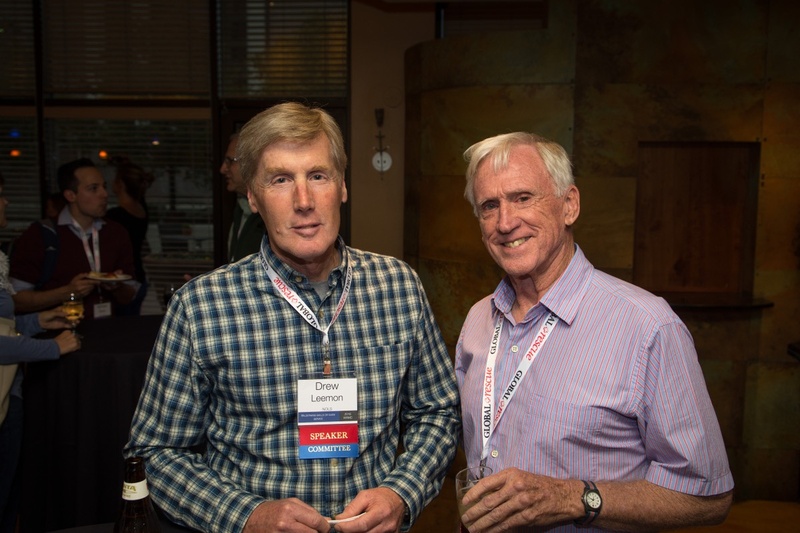 I was in good company, too: this year’s event had 462 attendees, five different topic tracks to choose from: Emergency Planning and Crisis Response, Field Practices, Legal Considerations, Program Administration, Staff Training and Decision Making and 41 workshops, as well as a keynote speaker. That’s not even including the pre-conference workshops and WFR Recert. 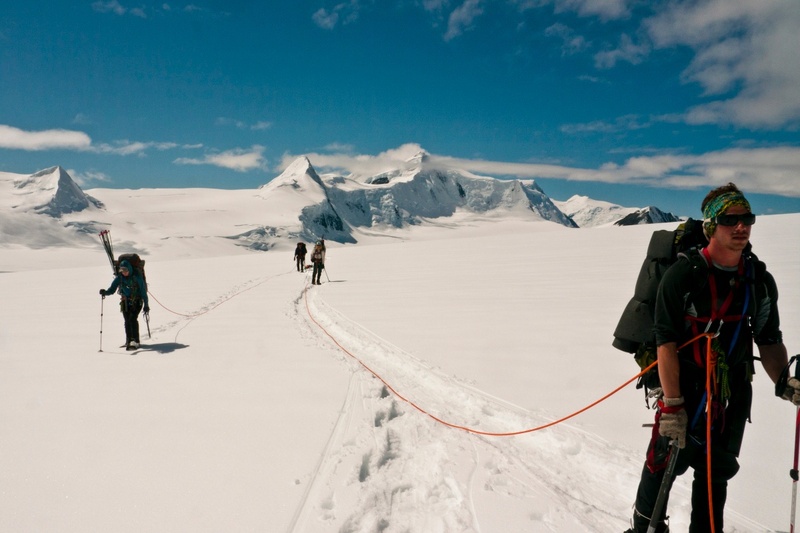 Rope team travel on a glacier. Photo by Brooks Eaton. So, what did I learn? In short, a lot. 2016 was my first time attending the WRMC, and it did not disappoint. I highly encourage all professionals, especially those in the outdoor industry, to check out future conferences to further develop not only your own risk management skills and knowledge, but to take the lead for your organization and all those who participate in conjunction with it. Besides, next year’s conference is in Portland, Maine! How could you pass up a chance to visit a city whose motto is "I Will Rise Again"? The leader in wilderness medicine provided attendees with a two-day, scenario-based course to review evacuation and decision making guidelines. This new WFR Recertification Format course included an online component, where students could go through materials (readings and videos) and complete the written WFR Recertification test online. Once in the classroom, our dynamic, experienced instructors reviewed current techniques, protocols and controversies in the wilderness medicine field. Drew Leemon and Reb Gregg at WRMC in Salt Lake City. Photo by Jared Steinman. Responding to a crisis, such as a participant fatality, presents a complex situation that demands a thoughtful and reasoned response. In this Core Workshop, NOLS Risk Management Director Drew Leemon provided attendees with an overview of the five elements of successful crisis management and delved into the complexities of responding to crisis situations through the presenter's personal and professional experience while providing a forum for exchanging ideas and sharing the audience’s experiences. Wilderness crises, such as a fatality or serious injury, can quickly spiral out of control and badly damage your organization’s good name. Unfortunately, responders are often left unprepared for the intense glare of the media spotlight. This workshop gave expert insight and proven techniques to how to respond to media demands and rush to assess accountability. Attendees learned how and why outdoor expertise and experience must be reinforced by a heads-up approach. This workshop provided an introduction to processes and protocols for addressing the traumatic impact on clients, staff and responders in the aftermath of a traumatic critical incident. Dr. Will Marling based his presentation upon forty years of field-tested, evidence-informed preferred practices in the area of trauma mitigation and education. “What would you do if you’re in the backcountry and one of your program participants is demonstrating extreme behaviors?” We had to strongly consider this question when Dr. Will Marling jumped up in the middle of NOLS Wilderness Medicine Instructor Laura McGladrey’s speech in a mock-explosive manner. The interruption was planned and make-believe, but the physiological responses and program considerations that followed were real. This workshop helped to build capacity to distinguish between common and extreme behaviors in order to mitigate risk and manage evacuations when necessary. McGladrey and Marling explored meaningful and evidence-based interventions as well as learning techniques for supporting staff and provided the opportunity to gain tangible skills for managing challenging behaviors. Experts in wilderness medicine collaborated in this interactive panel, offering updates on new topics and trends in wilderness medicine including mosquito-borne diseases, changes in spinal injury management, and psychological first aid. Attendees were able to discuss questions during the session, and submit follow-up questions by email post session. 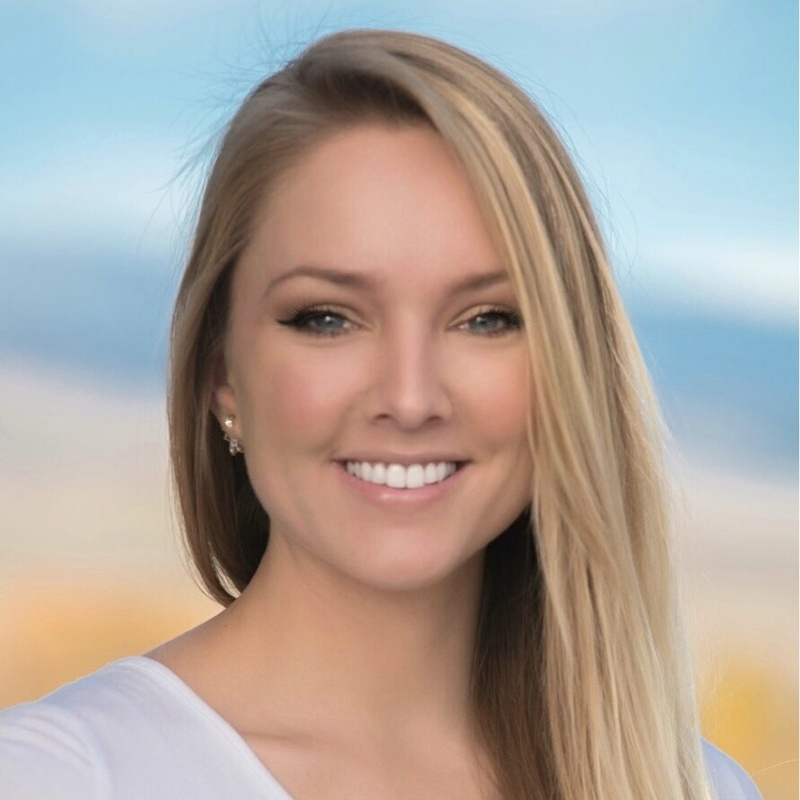 In this session, NOLS Wilderness Medicine’s Special Programs Manager Gates Richards explored the neurobiological factors of perception that contribute to human errors in decision making. Richards engaged (and entertained!) the audience using video, activities and magic tricks to allow us to experience and discuss errors of attention, errors of pattern recognition, and priming errors. By increasing our awareness of how the brain processes information, we were able to take steps toward being more deliberate in our decision-making awareness, and perhaps make more consistently good decisions in the future. 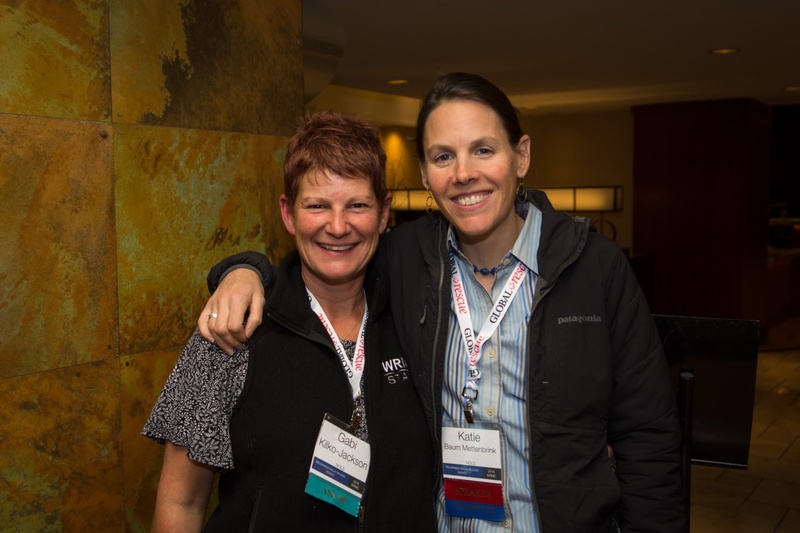 Katie Baum Mettenbrink and Gabi Kilko-Jackson of NOLS Risk Services at the WRMC in Salt Lake City. Photo by Jared Steinman. 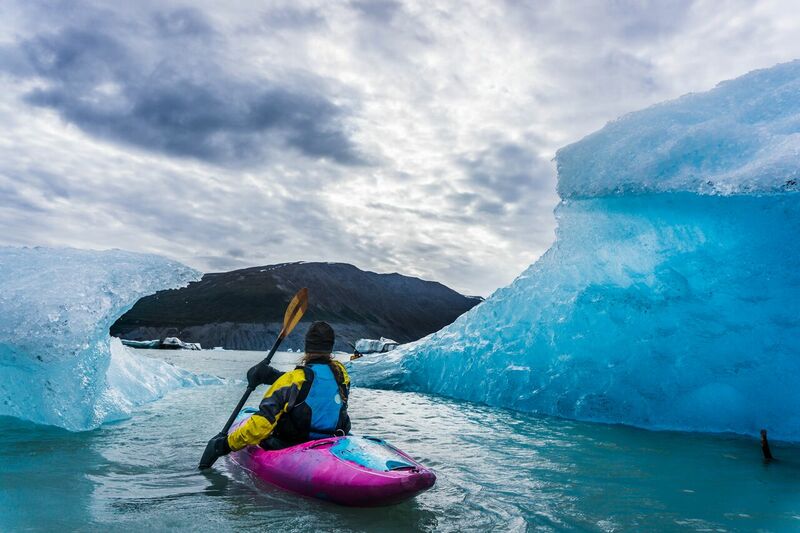 Grant captivated all of us with his story of being thrust into the eye of the storm of intense public scrutiny of managing winter alpine recreation and outdoor education in Canada, following a rising trend in avalanche fatalities. 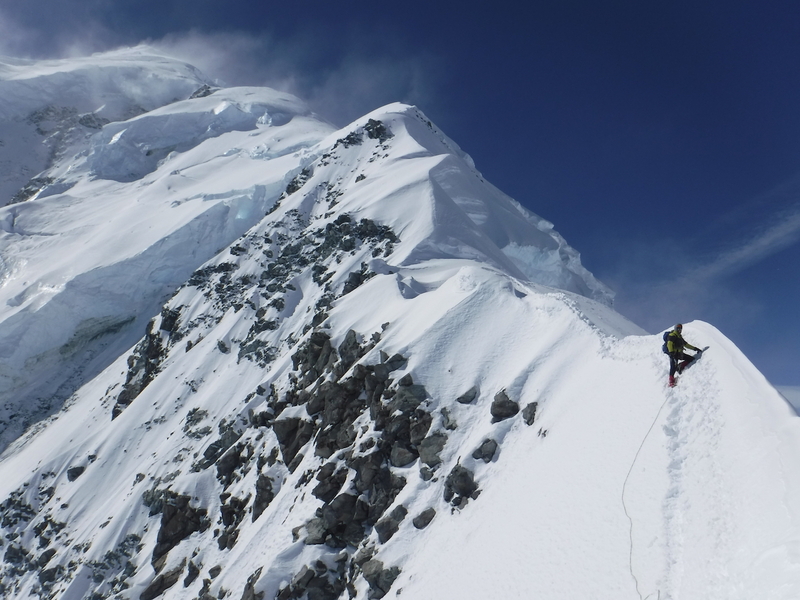 Statham sprung from a career in mountain guiding and found himself in the center of developing public warning systems and risk policy for the federal government. 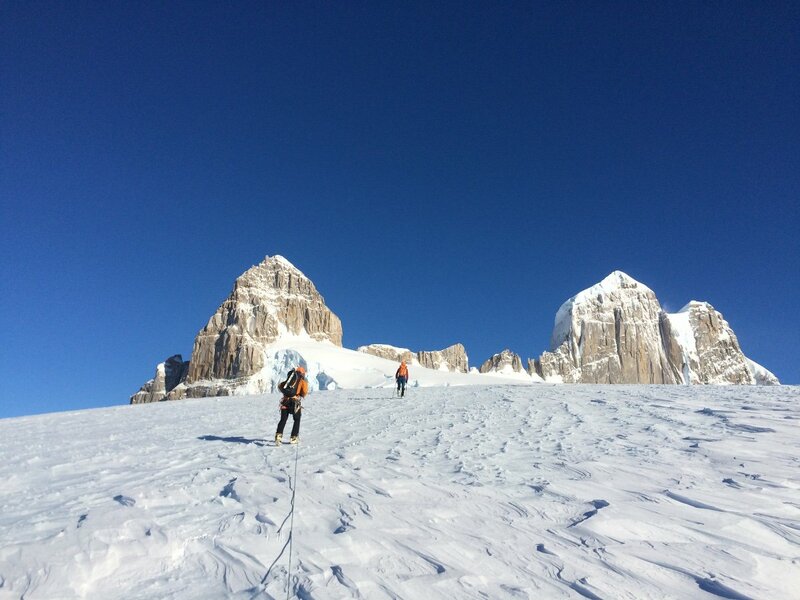 Today, 13 years later, Canada is regarded as a world leader in public avalanche safety and many of the systems developed following 2003 are now used worldwide. Save the date for next year’s conference in Portland, Maine November 1-3, 2017!